Click the photo to see the full sized image. Soccer had invaded the fringe areas of what we call the South Maitland Coalfields, years before the world famed geologist, Sir Edgeworth David, found coal near Deep Creek at Abermain. Centres such as Greta and East Greta saw soccer in 1887 and in 1901 respectively, years before the silence of rich coal seams, under virgin bushlands were awakened from their long slumbers. When the discovery was made, collieries sprang up at Heddon-Greta, Stanford Merthyr, Pelaw Mainm Hebburn, Abermain, Neath, Aberdare and Cessnock. The trade depression of the thirties drove scores of experienced players to the cities in search of employment. Their soccer prowess was a big asset on their personal references. A noted Coalfield educationalist wrote, "We export high quality coal - our best brains and our soccer stars". A public meeting in the old band rotunda in the park in High Street, Greta, held in June 1887 formed the first soccer club north of Newcastle. There were 41 enthusiasts present including a dozen or more who had played the game overseas. Many were miners who had trekked North from Newcastle where there was a slackness in the coal trade. A major trek of miners from the Newcastle fields to Pelaw Main where hundreds of unemployed miners found work at Pelaw Main and Stanford Merthyr collieries, which both enjoyed rapid development. Pelaw Main Soccer Club was formed in March, 1903 when the inaugural meeting was held on a vacant block of land near Gillon's General Store. 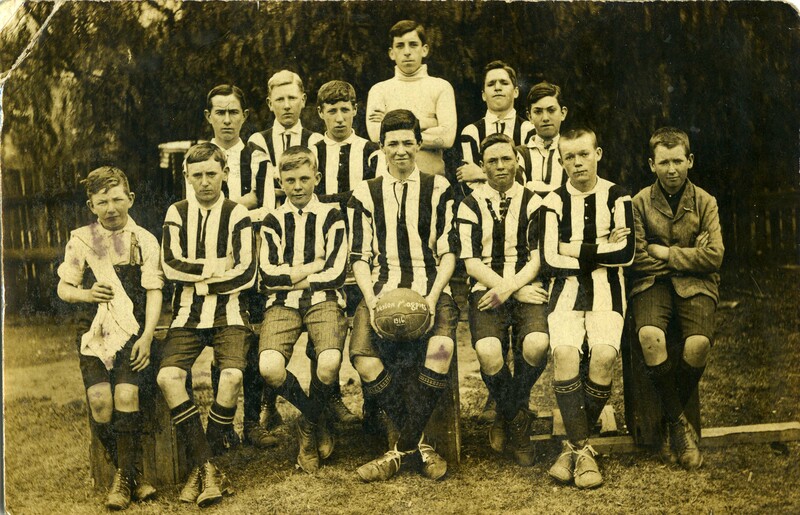 1904 Kurri Kurri Soon after mining operations commenced around Kurri Kurri, a Soccer Club was formed in March, 1904. This was a natural sequence as many miners flocked from Minmi, West Wallsend, Duckenfield and Greta where unemployment was common. Many were soccer followers. It was late in 1906, when the Hetton Coal Mining complex (Newcastle) sent a party of workmen to develop the site at Hebburn Colliery near Weston. A few months after developmental work in the surgace of the Hebburn Colliery had progressed, a group of workmen approached the colliery manager, Mr R. Harle, for permission to use a cleared portion of land as a football field. This was readily granted and Mr. Harle said, "I agree and hope that this area will be used for other sports." Soon many of the workers engaged in football practice after work. Many were players from Newcastle. A problem arose in the Kurri area where there were many juniors crying out for competitive soccer. The Kurri club could not finance all these demands. /Hence a strong junior club sprang up at the end of 1920 at nearby Stanford Merthyr. It is difficult to pinpoint the start of soccer in Kearsley - a mining centre on the outskirts of Aberdare. The game was first played in the local school in 1923-24. / … in 1924, Kearsley entered the S.M. senior grade along with Abermain, Kurri Reserves, Weston Reserves, Neath and Hebburn.